My family has been a Norwex family for almost six years now, and it sometimes catches me off guard how fully it has become a part of every area of our life! Cabin time is so different from our day-to-day life in the suburbs. Our cute little cabin in the woods is a lot of fun, but definitely lacks the creature comforts of home. There’s no dishwasher or air conditioning, the kitchen feels like it’s practically in the living room, and we have one tiny bathroom that we share. It’s awesome though, because it’s ours, and it allows for great family bonding time. The cabin is one luxury that Norwex has allowed us to have, and I’m so thankful for it. It’s a great time for my family to get away from the rush of life and really slow down and enjoy nature and each other. It’s time when the kids forget about tv, computers and other electronics, and they play in the woods making forts and creating fun games for themselves. As we’re doing these things, I’m constantly reminded of the changes Norwex has brought about in our lives. For example…the car we drive to get here. Before Norwex, we didn’t have a car that was really large enough to comfortably get our family and supplies to the cabin. When I promoted to the level of Vice President a few years ago, Norwex generously gave me a car allowance that provided the means for my family to be blessed with an SUV that we can travel in. Every time I drive it, I’m reminded how thankful I am for the career opportunity Norwex has blessed me with. I mentioned the “tiny bathroom.” I should also mention that I share it with my husband and two sons. There are a few Norwex items that are absolutely critical to cabin comfort when it comes to the bathroom. The first one is our Odor Eliminator. I love my boys, but the fact is – they can be stinky! A little Odor Eliminator mixed with water in a spray bottle means that our cabin bathroom can be left smelling fresh and clean even after being used. The bathroom sink has a bottle of Peppermint Foam Soap so that they are sure to wash up, and a soft Norwex Hand Towel to dry (and clean) their hands before they rush out to play again. Finally, we always have Body Pack cloths on hand to wash away the dirt and grime, and Bath Towels that quickly dry after being used and won’t get that musty cotton bath towel smell! The kitchen is tiny, but also filled with Norwex items. Another bottle of Peppermint Foam Soap sits next to the kitchen sink, with a bottle of our Dish Soap next to it. I love that we are using natural soaps at the cabin, especially considering the fact that we have our own well and septic system here. 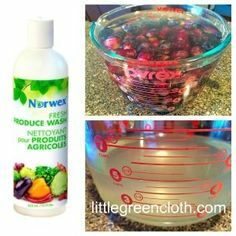 A Norwex Kitchen Cloth is our go-to cloth in the kitchen, and it’s partner Kitchen Towel is awesome for drying hands or dishes. Finally…we would never leave home without our main Norwex wonder – the Norwex BacLock™ Enviro Cloth and Travel Cloths. The superior microfiber cloths are amazing at cleaning up all kinds of spills, dirt and grime. Today we even used one of the travel enviro cloths wet to get spaghetti sauce out of my son’s white t-shirt. Norwex has been such a blessing to out family, both in the products that save us time and money and give us a healthier home, and also the financial blessings through the Norwex career plan. Thanks for stopping by my blog. If you’ve been reading this to get tips for your next camping or cabin trip, please comment with the products you love to use in your home-away-from-home. If you’re reading this as someone new to Norwex who is now interested in checking out our product line, please CONTACT ME for more information or click HERE to shop online. If you are looking for a new business opportunity that allows you to work at home while changing the world, I would love to talk to you about the Norwex consultant opportunity and how you can get a successful start. You can join my Norwex Dream Team by SIGNING UP NOW, or CONTACT ME for more information. I look forward to hearing from you!